A pair of jumper cables walked into a bar and the bartender said, “Don’t be starting anything in here”. 2017 was a big year for Doctor Leonard’s Cancer Research Fund and for the Saltzman Cancer Research Lab. 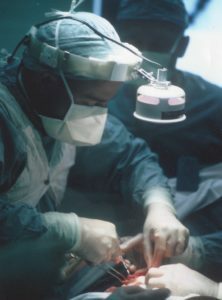 With your support, we are starting things, and it has resulted in progress. Fundraising in 2017 included a generous matching funds challenge from Hubbard Broadcasting Foundation, which turned the $135,000 raised with your contributions, to a total of $295,000 raised for the lab with an additional gift from Hubbard Broadcasting Foundation. Way to go everybody! 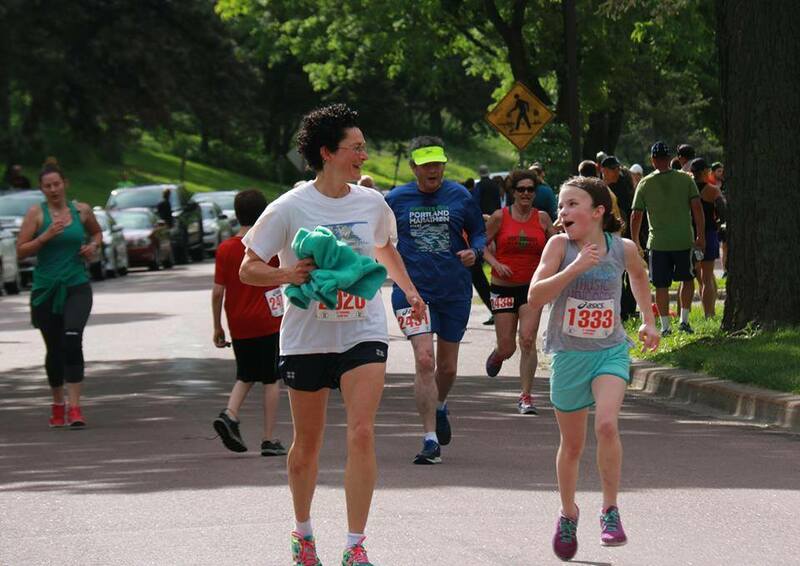 Did you know that the Brian Kraft 5K run happens each Memorial Day with Dr. Leonard’s Cancer Research Fund receiving the benefits from the event? The 2017 event raised $1973 for the cancer research lab. Brian Kraft was a young friend of Dr. Leonard’s who was an avid runner and friend to many. 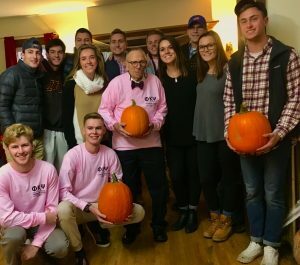 The gentlemen at Phi Kappa Psi at the University of Minnesota have chosen Dr. Leonard’s Cancer Research Fund as the recipient of the proceeds from their fall Pumpkin Carving fundraiser for the second year in a row. These gentlemen have a lot of heart and we are proud of their generosity. Thank you Phi Psi MN! 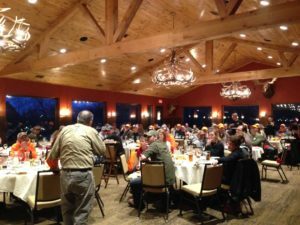 The 2017 Doc’s Cancer Shootout at the Minnesota Horse and Hunt Club was a big success and we are looking forward to the 2018 fundraiser scheduled for March 8th, 2018. Register now! 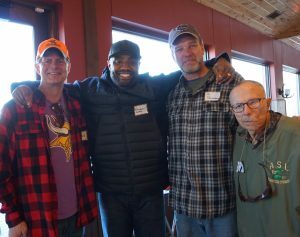 Dinner only registrations are also available which allow you to participate in the auctions and raffles in addition to spending time with the doctors and the Minnesota Vikings players including Everson Griffen. See you there! As always, Dr. Leonard is keeping busy teaching classes at the University to surgical residents, attending weekly lab meetings, and continuing to pursue his love of gardening, hunting, and spending time with his family including his 6 Great Grandchildren! 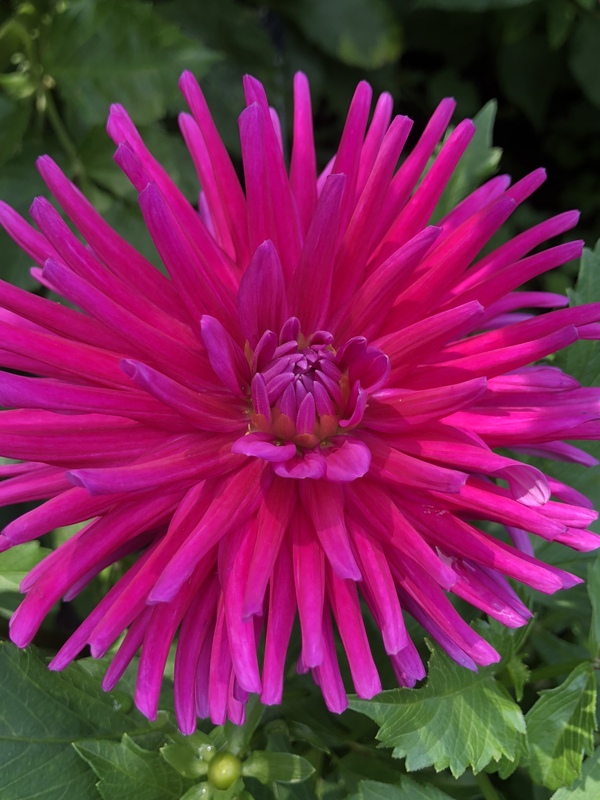 Here at the cancer fund, we are staying the course, finding beauty in the people around us, thankful for the moments of discovery and progress in the lab, holding on to the knowledge that what we are doing is making a difference for our loved ones, the world, for me and YOU. And to our supporters, THANK YOU, for staying the course with us.